Road surfacing has come under massive pressure during 2018 with a series of intense and unusual weather events. The conditions will certainly stay in the memories of the people of the UK for many years to come. With the blast of Siberian air from the “Beast from the East” making temperatures plummet at the start of the year. The road network was attacked by frozen surface water, enlarging cracks and tearing holes in the asphalt. Having gone through record low temperatures, the area of high pressure which sat for weeks over the UK drew hot air from the Sahara and continental Europe to create the hottest summer for generations and the warmest on record for England. The road surfacing started to melt, leaving it soft enough to be damaged by traffic with bitumen sticking to tyres, forcing councils to deploy their teams of gritters to spread granite dust. Now that conditions have returned to their usual state for this time of year, the road system will need restoration before Winter sets in. Following these extreme highs and lows, BituChem has a full range of road surfacing materials to return the network to full working order. Emergency repairs for potholes and small sections of cracked and deformed asphalt can be fixed with the Airpatch system. Here, a mobile spray injection patching machine provides an efficient means of repairing surface defects. A single operative can reverse damage at multiple locations with minimal disruption to traffic. 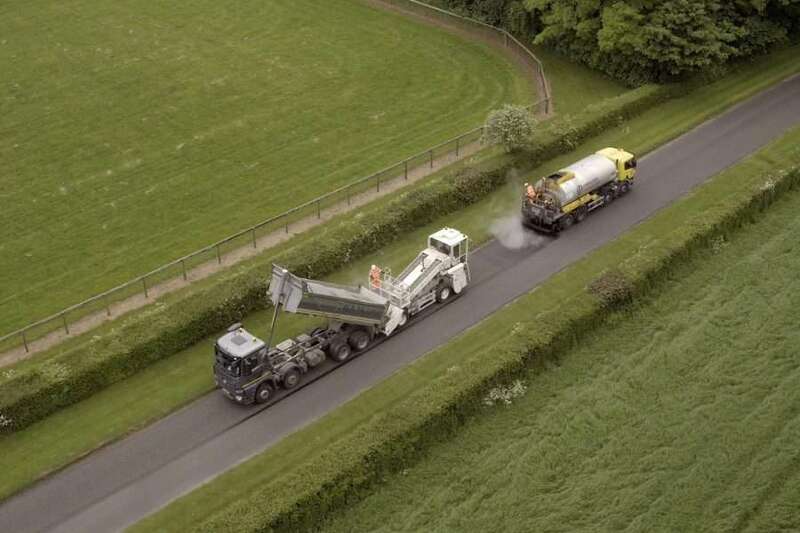 Where more extensive repairs to road surfacing are required, the BituChem portfolio of micro asphalt and surface dressing emulsions will replenish the top layer of large sections of highway. The high quality finish delivers better grip and a smoother ride for vehicles while offering increased protection against the elements. Councils and agencies and their contractors who are looking to maximise their budgets without compromising on the quality of their road surfacing will find a range of solutions at BituChem. To discuss your requirements further, please contact us and our experts will be able to advise you.